Container homes are by far the most innovative of the house designs, and one of the most interesting patterns.Starting in the 1960s, along with the rest of the world in recent years under the demand for low-cost housing, the container home has gained popularity without signs of decline. The past decade's most famous building is a container house designed by Peter DeMaria Redondo in 2007, a unique public housing project recognized as North America's first real container house. Container houses can be tailored in accordance with the owner's preferences, but is also low-cost and attractive. In addition, the trailer can be recycled, so is high on sustainability. In addition, throughout the world, it is very easy to obtain container houses, and the material is very durable and strong to withstand the ravages of wind and rain. Today, we put together a list of six low-budget and fashionable container houses for you to enjoy these distinctive designs! This bright container house in Seoul by AAPA's Architect was designed for residential use, and has about 23 square feet of living space to accommodate a family with three children. Full of uniqueness, originality and creativity, the container house has a total of three residential floors, and the walls are covered with birch plywood. 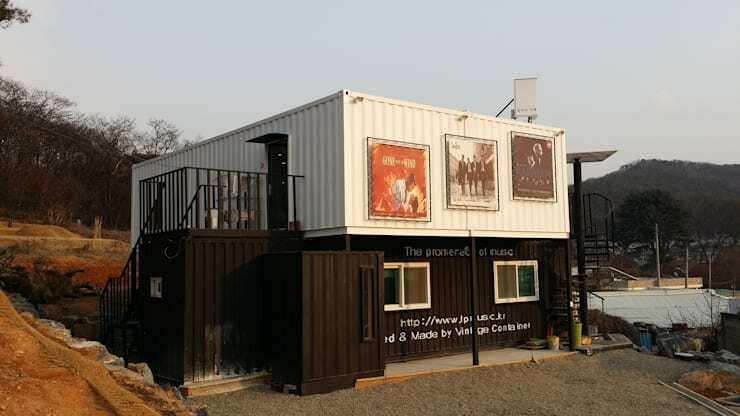 This chic black container house is insulated from being boring and monotonous! Located in a picturesque area, this project was named 'the garden house'. 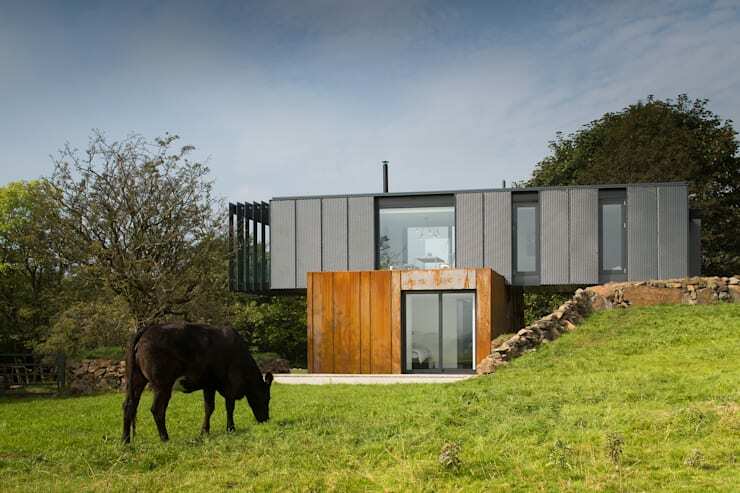 When we first saw this house, we immediately noticed its distinctive contemporary aesthetics. In addition, it is great for a family, as it boasts a spacious garden and the terrace space is perfect for recreation and relaxation. 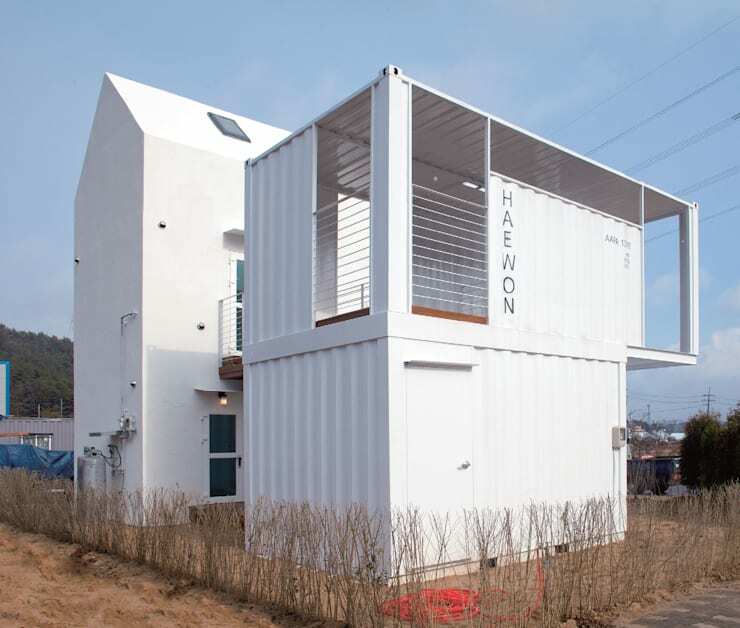 Does this charming container house in black and white colour not make you think of the yin and yang balance of feeling? An area of about 133 square feet with a spacious interior was built for one retired couple to live in comfort. The second floor has a novel design, as this home was transformed into a vibrant cafe. The space is filled with music, movies, and takes advantage of the scenic environment. No house has a brighter colour than the containers of South Korea's Jjuuk Guest House. These containers are used as sleeping units, and provide all necessary amenities. Since the bedroom is located on the second floor, the first floor space has become an area where guests can chat and communicate in a vast dining area. 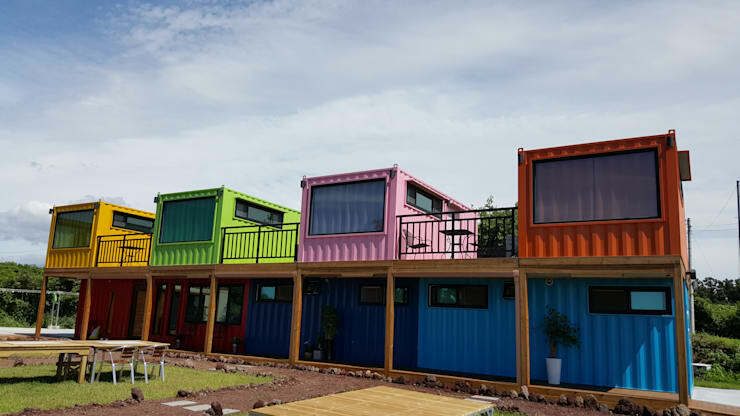 Which container home is your favourite?